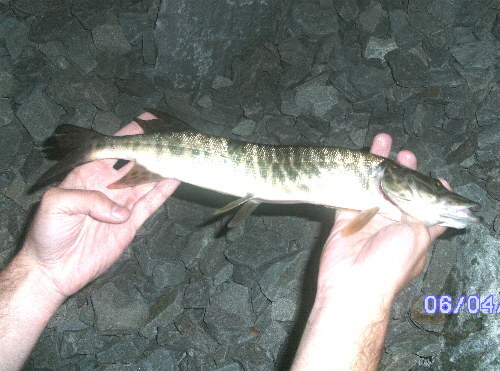 A Tiger Musky is a hybrid cross between the muskellunge and northern pike and exhibits characteristics of both. They the same body shape with vertical bars on its sides. Scales on the cheeks, spots on the fins and rounded tail lobes. They can grow to be quite large. Up to around 50 pounds. Tiger musky are generally sterile so they must be stocked in order to keep a population of them going.